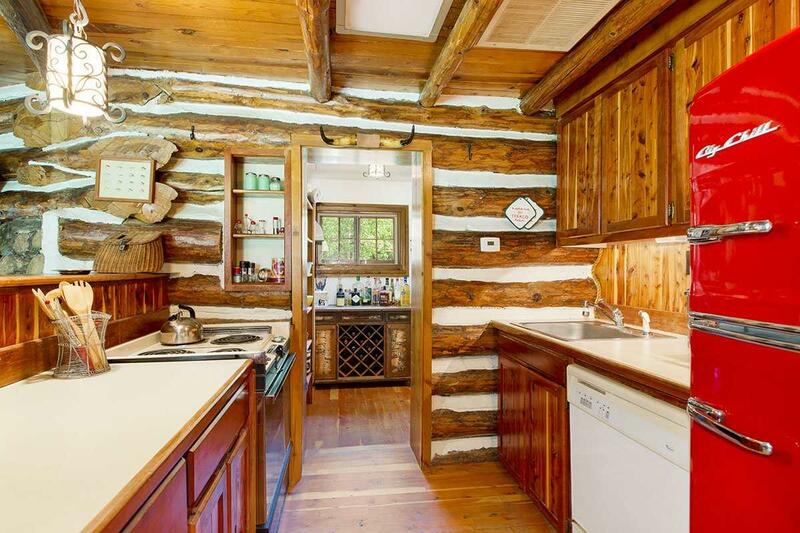 The Dream Log Cabin. 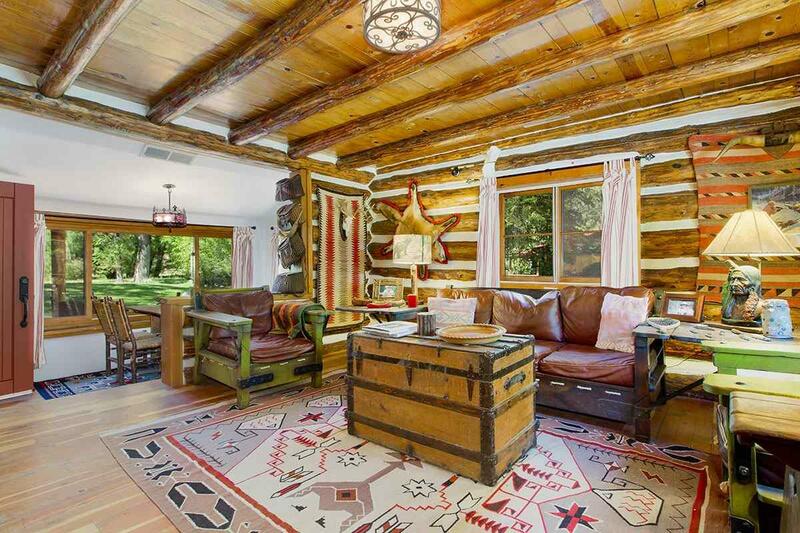 Situated by the Pecos River, in lush surroundings, mature Cottonwoods, Pine with gated 24hr security. Tres Lagunas, the legendary mountain retreat savored by generations of Santa Feans. World class fly fishing at your doorstep and cool summer evenings to discuss great days on the water. 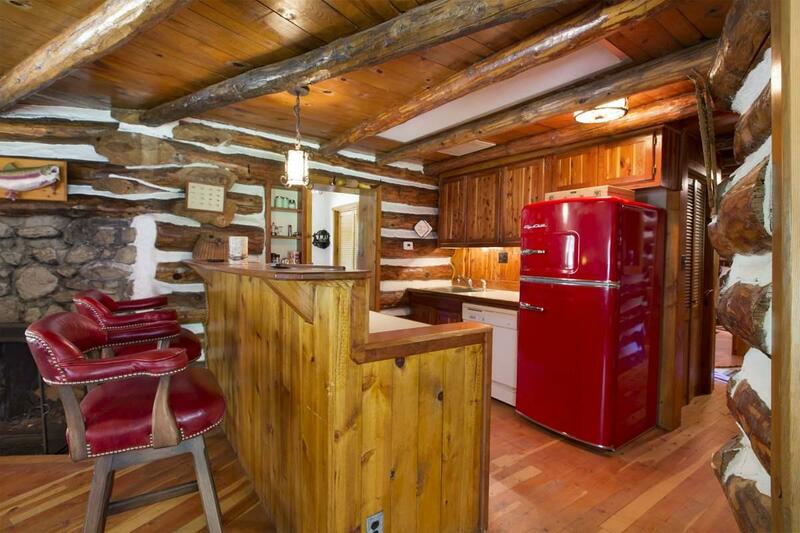 This cabin dates from the 1930's and has been lovingly cared for and restored by the present owners. The exterior has been completely renovated and a new portal with huge river rock fireplace added that makes for wonderful outdoor living and dining options. 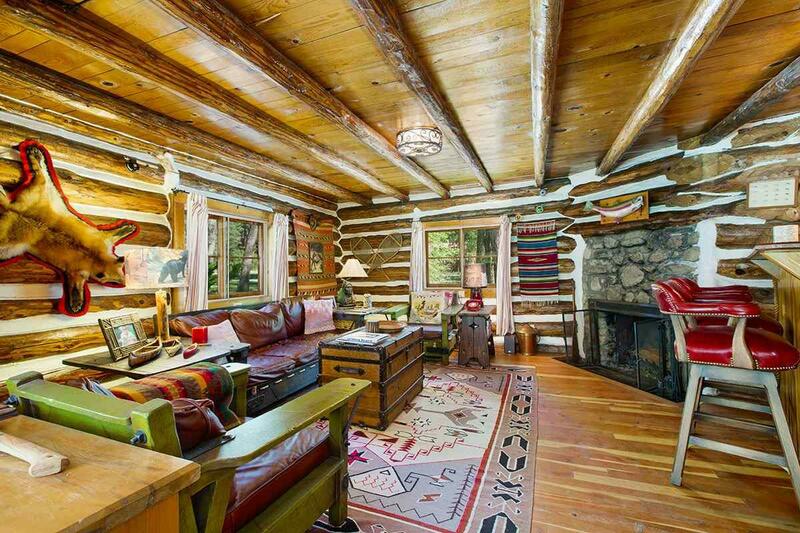 Two indoor fireplaces provide cozy winter evenings. Hot water on demand has been installed for further convenience. This is the place that generations of family will enjoy. A rare opportunity to live history, comfort and style.